Rim of bridge spouted jar. Light on Dark Ware. 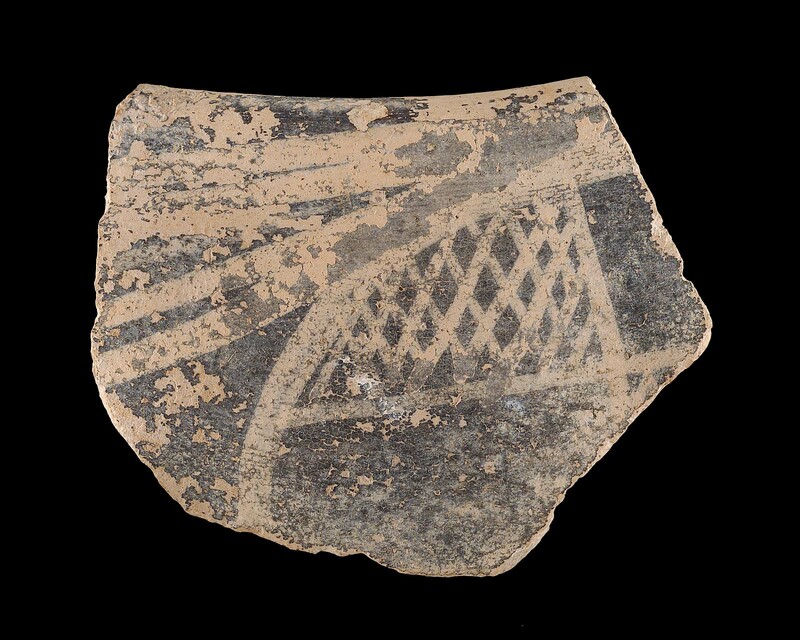 Buff clay with lattice pattern. Pencil markings “Mrs. H.” cf. White-on-Dark, fig 2-8, especially #4.